Today’s blog thoughts are from Antonio Capodieci, a Compunetix Senior Account Executive within the Communications Systems Division. Originally from Italy, Antonio is now based in Pittsburgh and has been assisting conferencing provider customers across Europe and throughout the Middle East for the past five years. Contact Antonio at acapodieci@compunetix.com. High definition is now prevalent in everything from televisions and screens to mobile devices. This trend is now taking over the telecommunications industry with HD voice. Have you ever been on a call and misheard someone? The soft and close consonants such as “s” or “f” can be easily confused in standard definition calls, when bass and high frequencies are cut off. Did you know that there are over six ways to pronounce the ending “ough” in both American and British English? Consider the tongue twister “though the tough cough and hiccough plough him through.” You can imagine the auditory fatigue when struggling to hear the difference! 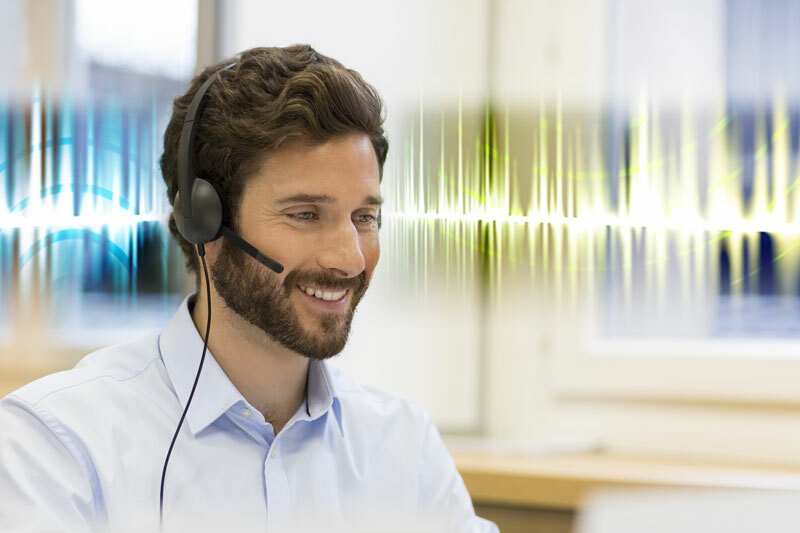 HD voice, or wideband audio, delivers high definition voice quality for telephony audio. It provides a clearer, crisper sound compared to the traditional, standard digital telephony or “toll quality.” It extends the frequency range of audio signals transmitted over telephone lines, resulting in higher quality speech. The range of the human voice extends from 80 Hz to 14 kHz but traditional voice band or narrowband telephone calls limit audio frequencies to the range of 300 Hz to 3.4 kHz. Wideband audio relaxes the bandwidth limitation and transmits in the audio frequency range of 50 Hz to 7 kHz or higher, nearly double that of standard definition – read more specifics here. The latest smartphones are capable of supporting HD voice, and several carriers and providers offer HD voice quality over their LTE network. End users are demanding HD quality, not just during their one-to-one calls, but also during their conference calls. The adoption of HD voice is helping to facilitate communication between different conference participants. A majority of people in medium to large enterprises currently work in global organizations. Conference calls in such international environments often happen between people speaking with different accents. At times it can become frustrating when it is not possible to understand what people are saying during the conference call. With the adoption of HD conferencing, it becomes much easier to understand participants with different accents. For an example, take a listen to the video here. For non-native speakers it is a challenge to speak another language. There are multiple complexities to consider; even the tone can be used differently to communicate nuances. Each accent is made of different sounds at different frequencies. HD voice devices and software will be able to represent double the bandwidth, capturing a larger spectrum of frequencies. In a nutshell, you will be able to hear the other accents more clearly and with less effort. The increase in the adoption of HD voice will limit unpleasant or funny misunderstandings during conference calls with people speaking in different accents. Are you interested in experiencing HD voice in a live conference? Schedule a demo with Compunetix today – visit our HD audio page and email us at csdsales@compunetix.com.